The best way to refresh our mind and to get away from everything is to spend some time with your friends, family members or even alone in a beautiful place. This could be a beach, a forest or at the peak of a mountain. Camping or spending time for some outdoor activities can really erase the tension from your mind. Moreover, who doesn’t love to sleep in the sound of wilderness, the sound of birds or in the fresh natural air? To have this awesome camping experience we first need a good high-quality tent. Previously setting a tent always sounded a lot of work, but now it is just a matter of few seconds. Thanks to the amazing technology of pop up tents. A pop-up tent is basically a tent which pops up within seconds and you don’t need to do anything to set that up. Whereas with traditional tents are heavy and one needs to follow a difficult instruction, with pop up a tent there is hardly anything to do. There is no requirement for extra tools. You will just carry them in your backpack, pull it out from the bag, throw it in the air and your tent is ready. Now there are many brands that have come up with lots of model of pop up tents. Some are good for heavy camping, some for the beach. So you have to pick the best pop up tent that meets your requirement. Therefore, to help you to get the Best Pop up Tent we have done this writing. Top Rated Pop Up Tent Comparison Chart! Q: What are the different types of a Tent? Q: What is the difference between Canvas and Nylon Tent? Q: Is there any need for pegs for Pop up Tents? Q: How to put away a pop up tent? Multi-position rain fly makes it waterproof. A little difficult to fold the tent. The floor materials are not very thick. On our first pick for the Best Pop up Tent reviews, we have the Coleman Pop up tent offering 2/4 person model. This generously sized pop-up tent is an affordable option for the travel loving person. This pop-up tent can surely meet anyone’s camping needs. The Coleman Pop up tent comes in two sizes. If you are going for the 2 person model then the size measurement is 7ft.6in x 4ft. 5in. On the other side, the 4 person model tents’ size is, 9ft. 2in x 6ft.6 in. It doesn’t matter for which model you are going; it will give you the same performance and outdoor experience. Now the main thing of any pop-up tent is how easily it can be set up. 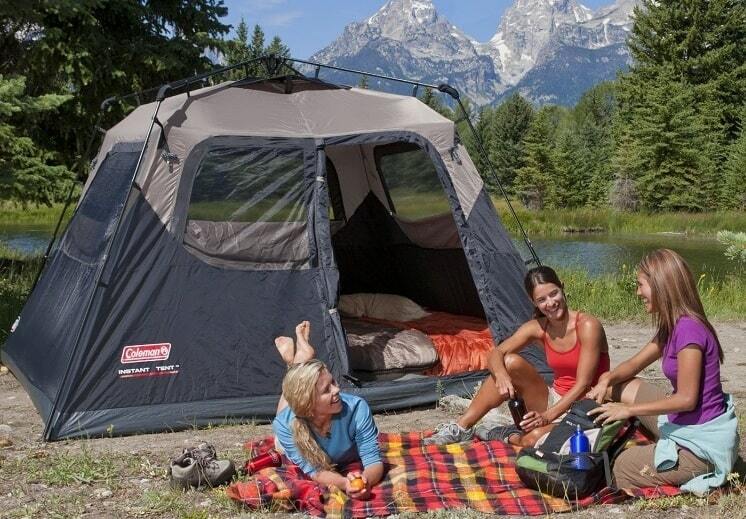 The Coleman pop tent features pre-assembled poles for which it can be set up within a minute. There is no requirement for manual assembly to set up this tent. Video: See how fast and easy it is to set up the Coleman Pop-Up Tent. The Coleman Pop up Tent has included some of the amazing features. It has a taped floor-seam which keeps the tent dry from inside in wet season and stops any kind of leaking. There is a multi-position rainfly that maintains a good balance between ventilation and protection. The design is pretty simple, but still, the tent looks really good. This pop-up tent has two storage pockets where one can easily organize their items like sleeping gear, headlamps or any equipment. One can easily adjust the rain fly according to the situation. With the price range and the generous size, we think the Coleman Pop up Tent is worth recommending. For the kit, you have to pay extra. Another pop-up tent which has made into our Best Pop up Tent reviews is the Coleman 6 Person Instant Cabin. This pop-up tent has got a firm construction with 10×9 feet of floor space. The best thing about this pop-up tent is that it can be set up within a few minutes. This Coleman tent has attached poles for which the setup is really easy and quick. All you need is to secure and extend the poles. The Coleman 6 person instant cabin has a massive sleeping space of 90 square, where its center is 6 feet tall. As the ceiling is really tall of this tent, the walls seem almost vertical. For this reason, one does not have to squeeze into the corners. This pop-up tent is almost like a cabin with a flat wall and ceiling. This Coleman pop up tent or cabin as they called, will give you enough room to fit two queen sized airbags. Moreover, there are two storage pockets where you can easily keep your essential items. It has also ground stakes. One of the amazing features of this pop-up tent is, it includes a WeatherTec System. This tent is made from 150 denier polyester along with taped seams. For this super construction, this tent is capable to handle rain and will keep you stay dry. This tent will do a great job even if it’s heavy raining and can stand up in heavy wind. In short, this pop-up tent has got some very impressive features. If you are looking for a tent with massive floor space then this Coleman 6 person Instant cabin is undoubtedly a great option for you. Thoughtful design with multiple storage systems. Easy to pack up also. Not good for heavy rainfall. Next, in our third pick for the Best Pop up Tent we have the FiveJoy Instant Pop up Camping Tent. This is a great quality pop up tent which is suitable for 1 to 3 persons. 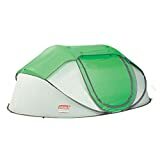 This is an actual instant pop up tent where you just need to remove it from its package and it will immediately open up. With this tent, you don’t even need to fumble with different poles or you don’t need to follow any kind of instructions. There are mesh windows, multiple storage pockets, and double doors. While doing camping in this tent you can easily let air in, where you don’t need to worry about bugs. With multiple pockets, one can easily keep the tent clean and organized. There are hooks and storage spaces where you can keep your clothes. Doors both in left and right sides have made this tent really easily accessible. Now the FiveJoy Instant pop up tent can stand up easily against moderate rains. It will keep the tent dry. However, if there is heavy rainfall this tent won’t be a very good option. Another great thing about this pop-up tent is that you can use the windows for different purposes. You can attach guy lines with the window flaps and can turn your windows into a rain fly. You don’t need to purchase the guy lines or stakes separately, it comes with the tent. All in all, we can say that this is a fantastic tent for short or casual camping. 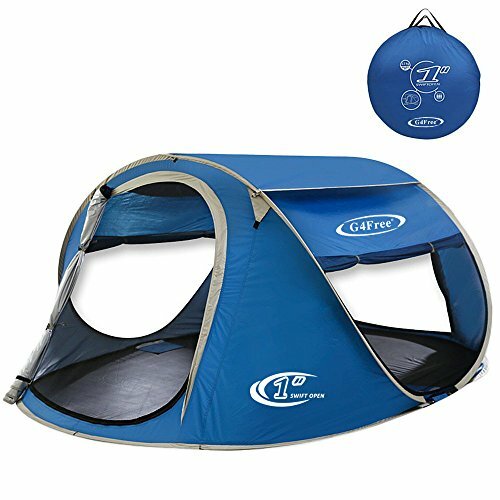 Though the name suggested for camping, we think this pop-up tent is good only for outdoor recreational activities, not for extreme camping. Pop up instantly, so no installation required. Not a good option for tall people. Next, in our list of Best Pop up tent, we have a got a tent for all private works, not for staying. It is the WolfWise Portable Camping Beach Toilet/Changing Room Pop up Tent. Now people who love to travel frequently they can easily understand the struggle they have to face for these private works. You really need a good changing tent which can offer you enough space and good privacy and for that, the WolfWise Portable pop up tent is a great option. First of all, this pop-up tent is easy to set up. It is very lightweight so you can easily carry it anywhere. Actually, it is so lightweight that you have to stake it otherwise it will fly away. The whole tent is coated with fabric blocks, which prevents the harmful UV rays. So, it is a great shelter to use. There are vents on the roof that allow proper air circulation inside the tent. It comes in different colors and all of them are in vibrant colors. This WolfWise pop-up tent has a removable rain fly, floor mat and carrying bag, which has made it really user-friendly. There is enough space for an adult person to change clothes or to set toilets. 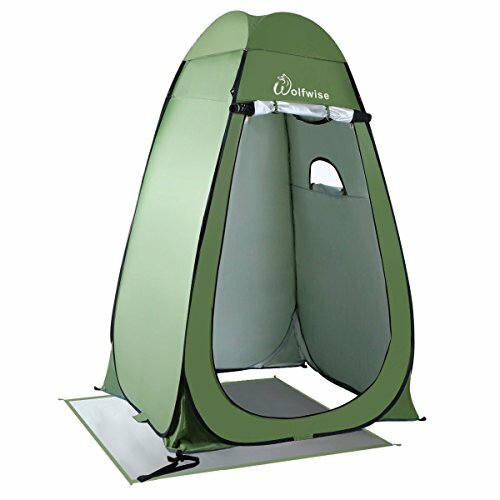 This is one of the best-changing pop up tents that can be used in beach or camp to do your private works easily. This is more durable than any other pop up changing tents available in the market. When folded, it goes into a 31-inch circle. Large enough for 3-4 person. The floor is a little bit thin. Folding it into the carrying case is really a hard task. To meet your search for the best pop up tent we have come up with this amazing Zomake Pop-up Tent -Automatic and Instant Setup. 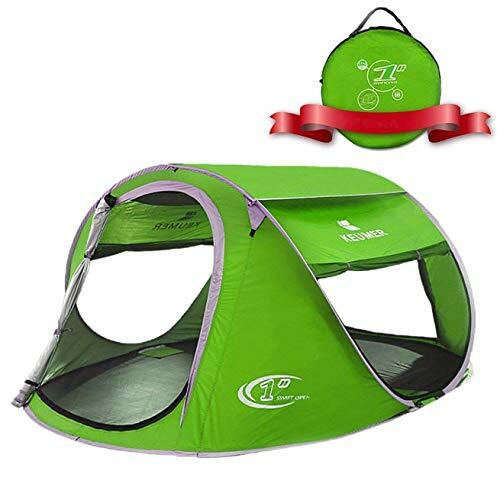 It is an ideal pop up tent for 3 -4 people. Just like any other good pop up tents, it does not require any additional components to set up. It is fully automatic and matter of only a few seconds. It has durable round fiberglass poles which ensure easy set-up for you. This is super affordable, lightweight and very much convenient. The Zomake pop-up tent weights only five founds. Can you imagine? It is so easy to carry. There are two doors and two windows which provide good ventilation and also you will be able to see more views. 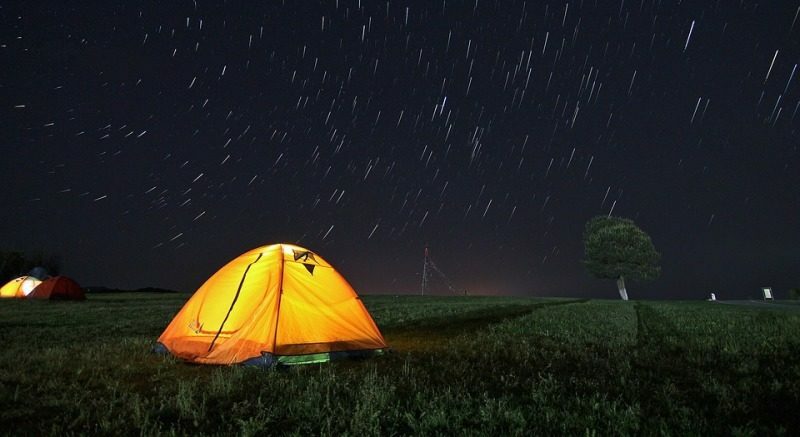 This is one of the best tents where you can enjoy the star-gazing at night. Some other remarkable features of this Zomake pop-up tent are, it is waterproof and has anti UV coating. The tent has a silver coating that prevents the UV light to enter inside the tent. From our observation, we think this pop-up tent is really a good option for backyard camping or for beach places. However, if you are going for an extreme camping with wet places it won’t be a good choice. Though it can give you enough shelter from rain, it is not made for wet floors. People found the door zipper not up to the mark. The material is not that much durable. Next, as our 6th pick for the best Pop up Tent reviews, we have selected a family tent that is, the Wnnideo Instant Family Pop up Tent. When you are going for a family holiday, you have to make sure that you have the best tent for your family members. This pop-up tent can surely meet this need of yours. With this tent, you don’t have to waste time with hammers for installing it. The Wnnideo Instant Family tent is really easy to set up. It fully justifies its name; it is an instant and an automatic pop up tent. The Wnnideo Instant Family Pop up Tent is perfectly suitable for 3-4 people; even you can adjust 5 people in it. For its large space, this is one of the best options for a family or for a large group of friends. This pop-up tent has some amazing features. 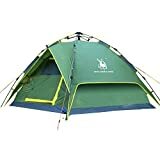 Whereas all the other reviewed pop up tents are good only for moderate weather, this pop-up tent performs really well against strong wind and rain. Especially if you consider the price of the Wnnideo pop-up tent then it provides a very good protection in extreme weather. This tent is made with wind-resistant and water-resistant frame. The Wnnideo Instant pop up tent is large enough for a family, but that doesn’t mean it is heavy. Even after its huge size, it weighs only 8lbs, which has made this tent portable. Moreover, this also comes with a storage bag also. The design of the tent is quite simple yet it has all the standard features like six mesh panels. All in all, we can say the Wnnideo Instant Family tent is a great option if you are in a budget. Instant set up and pack up. Suitable for 2 person mainly, not 3. The seventh pop up tent to make it our Best Pop up Tent reviews is the Toogh 2-3 Person Camping Tent. This pop up tent is very popular among its users and most of its users have really like this tent. 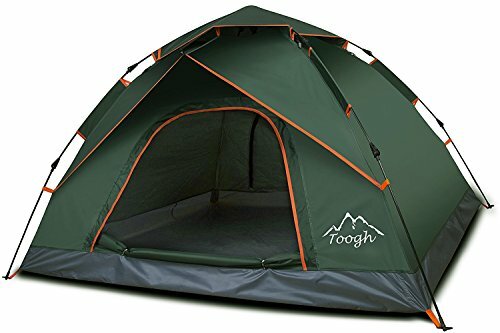 The Toogh camping tent is one of the easiest tents to put together. The hustle to put all the stakes and sticks is gone when you are using this amazing tent. The Toogh Instant pop up tent is a 2-3 person tent. 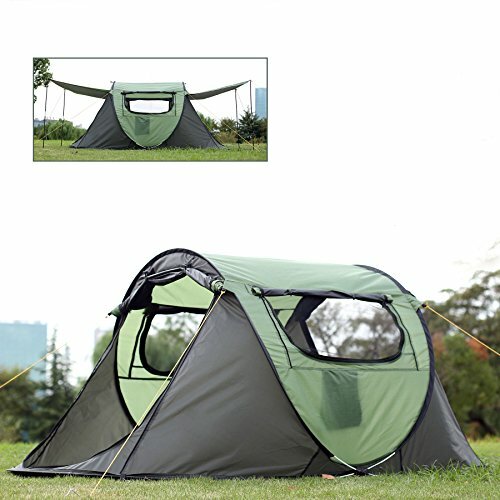 It has two windows and two doors that allow nice air circulation inside the tent. As we mentioned it is really easy to set up and also it is remarkably also easy to tear down. Now in most pop up tents we miss this feature, whereas most of them can be set up really quickly, it takes a lot of time to put them back. However, this pop-up tent is different in this case. The Toogh Company has really thought about this issue and has done a great job regarding this. It is a really affordable pop-up tent for an average family. Even with this low price, this tent has included most of the standard features of a good pop up tent. It has a rain fly, tent stakes, wind rope and carry bags. Moreover, the rain fly can be used as a wayside pavilion along with fishing awning or canopy. The Toogh Camping Tent is undoubtedly a well-priced pop-up tent if you think about the space, durability, and stability it provides. This tent can make your holidays more fun with your family members or with friends. There is enough storage pockets included in the tent to keep it nicely organized. Lastly, it is a very lightweight tent, weighs only 7.5 lbs. Not at all for extreme camping. Getting back into the bag is really difficult. 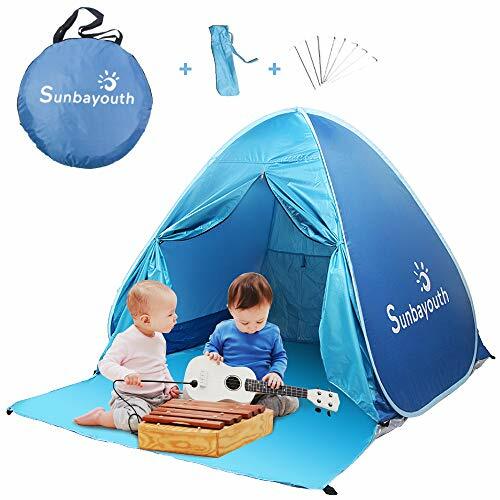 Next, as our pick for the best pop up tents we have the Sunba Youth Baby Beach Tent. As the name suggested, this pop-up tent is specifically made for the beach. Among all the other previous pop up tents, we think this tent is actually very effective to give you a good protection from the sun. The Sunba Youth Beach pop up tent is coated specially with heavy silver fabric. Not only on the upper side but fully covered with it. This silver coat makes sure that you and your children are fully protected from the harmful UV rays. This pop-up tent can give you full day sun protection when you are spending your time with your babies at a beach or a park. The manufactures of this tent has designed this tent thinking about the babies, as their skin are more sensitive than us. Therefore, if you are looking for a pop-up tent which is really good for sun protection, then this is obviously the one. At the back of this tent you will see an upgraded roller shutter. The front door designed in such a way which can be used for more space if required. This Sunba pop up tent is suggested for 2-3 people (2 adults, 2 children), however, we think it is suitable for 1 adult, 2 children. This is also a lightweight tent, so you can easily carry whenever you are going for the beach. The price is also very low. Mosquito net on the door. Can be fit easily in small cars. Not an ideal tent for a tall person. Next, in our list for the Best Pop up Tent we have got another affordable tent, the Northblu 2 person instant pop up tent. This is a very simple designed tent which is perfectly suitable for 2 persons. This pop-up tent has some great features which have made it one of the most useful tents to use for beach picnic or for casual camping. The Northblu 2 person pop up tent has a single door. As it is designed only for 2 people we think there is no need for double doors. This is a small and lightweight tent that can be carried without any hustle. For its weight, it is ideal to use it as a shade anywhere. However, you cannot use this tent in bad weather. Even in normal weather, it needs to be staked with 4 guy lines. This is a perfect tent for the fair weather where it will keep all the bugs off. One of the best things about this pop-up tent is the amount of ventilation. 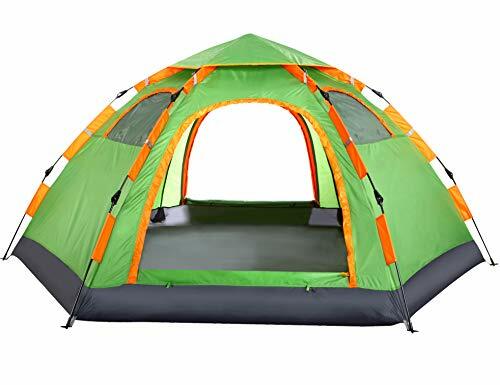 This tent is great for hot days as there are two sealable fabric windows. Moreover, the door can be also left open. This allows enough air circulation inside the tent. Mainly, we can say that the Northblu 2 person pop up tent is a small, lightweight and simple tent that you can carry easily for your casual outdoor activities. The pop-up tent which has managed to be one our top list is the Winterial Instant Pop up Tent. This is another very good instant tent that pops up within in seconds and it is ready to use. There is no requirement for any ground strap to set the tent. However, that is not the main thing we have liked about this pop-up tent. The reason for which we think this pop-up tent is great is because of its height. The height of the Winterial 2 person pop up tent is 42”. Now, this is a good height for any tent and most of the tents we have reviewed have less height than this one. For the high height, this tent feels more open and relaxing. 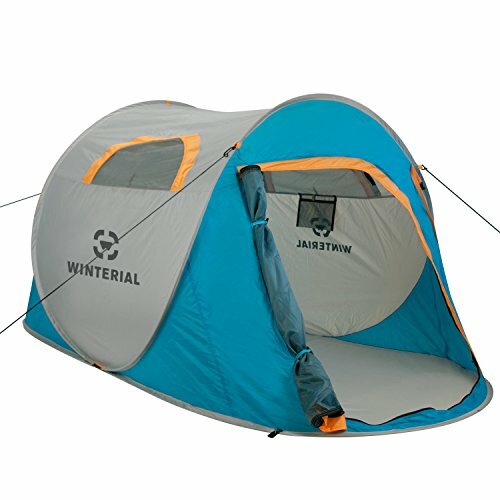 The Winterial pop-up tent is made of durable polyester. Unfortunately, this fabric is not waterproof. It is really good to keep the sunlight away and also very light showers. It comes with a4 guy lines which can be used to give more support when there is a strong wind. 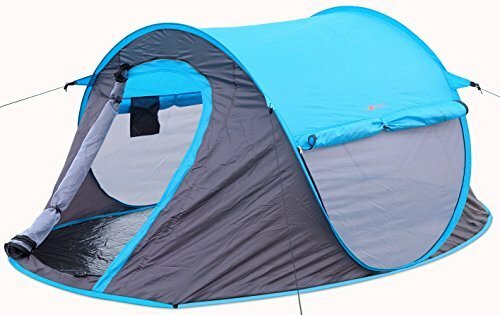 This portable pop up tent has 2 windows and a large door. Therefore, gaining access to the outside is pretty easy with this tent. Moreover, the zipped windows are also good to allow enough air circulation inside the tent. About the floor space, we found it is just okay for 2 people. There is enough space but it doesn’t feel that much free or roomy. Lastly, this pop-up tent also comes with its own carrying bag. Packing the tent into the bag is not that much difficult. It is a 4 steps fold in tent. We think for tall adventure lover people the Winterial Instant pop up tent is a great choice. It can give you the best ventilation you desire. It cannot also fully extend to the ground when on the cot which becomes a disadvantage for those seeking a complete ground coverage! The dimensions also are just very limited, it can’t serve the bigger persons well. Next, in our list for the Best Pop up Tent, Teton Sports Outfitter XXL Quick Tent. it’s the best tent with just the most appealing features below! Teton sports outfitter XXL quick tent has dimensions of 82 by 39 by 32 with a packed dimension of 25 by 8 by 5. Packed weights are only 4 Lbs. and can accommodate only one person. Its shell design is 75D Taffeta of 2000MM PU. It also has a micro mesh inner tent, waterproof rainfly, watertight tent floor, great ventilation, and quick release buckles. It has a single door and applies the quick- up pole system III. The Teton tent has an appealing yellow color and you will surely love the spectacular sight it offers you! It’s very easy to set up! You can even realize that buying it takes longer than setting it up. It’s actually estimated to take less than a minute to have it done. This tent also ensures that it gives you instant shelter for camping purposes whether in a mountain, a beach, etc. You are entitled to a dual system comfort since it can be set on a ground or on its cot. You will get the amazing horizon view and you can really love the full view of the Milky Way which is just made possible by the full mesh top. Difficult to take it back. Another amazing pop-up tent that really pops up within few seconds is the Survival Hax Instant pop up tent. It is really quick and easy to set up the tent. 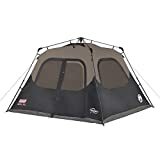 This is a 2 person tent and like the Coleman or any other popular brand’s 2 person tent this tent is also very durable. 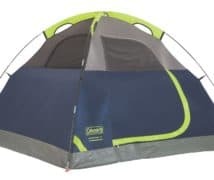 As a 2 person tent, we have really liked this tent for it is ease of use. When we are going for camping we obviously don’t want to carry something heavy with us. On the other side, in most cases, we have seen that the light ones are not that much durable. But the Survival Hax pop up tent is different. This pop-up tent has got an ultra-light design, which is so easy to carry. Being lightweight this has also a very protective design. Therefore, you don’t have to worry about is while you are full on your adventure. It has used the 19D Oxford material that makes the tent water resistant and also UV rays resistant. There are 2 doors, front, and back that allows nice breeze to circulate inside the tent. The space size is also really great for two people. The price is low for a 2 person tent. No one has to step outside to give more space to other person. For this price range, we think the Survival Hax 2 person pop up tent is a well-designed tent, where you can enjoy your time. Fabric is of high quality. Enough pouches and pocket for use. Though it suggested for 3- persons, but it is actually perfect for 2 adult people. The second last pop up tent in our list is the G4Free Pop-up Tent for 3-4 people. It is a water-resistant pop-up tent. This tent is made from high-quality K-Oxford fabric along with sealed seams and Anti UV coating. So you can see this G4Free pop-up tent will not only keep you away from water but form UV rays also. Just like any other good pop up tent, this also really easy to set up within 2/3 seconds. You just need to unclasp the elastic strings from the packet and throw it into the air. However, you have to secure it with stakes and cords. All the staked and cords come along with the package. The G4Free Pop-up tent has two windows and two large D doors. The doors are actually pretty large, so it is easy to get access into the tent. Moreover, the top cover can be easily taken off. So, at night when you want to enjoy the glazing stars you can just take off the top cover and enjoy. The height of this tent is not that much good. It is only 4 feet. So you can understand it is a big no for the tall people. Apart from this, we think this pop-up tent has got some good features. We found the design of the G4Free Pop-up Tent is quite impressive. There are even some extra hooks where you can hang your clothes. The storage bag is not of good quality. The windows can’t be rolled from inside. 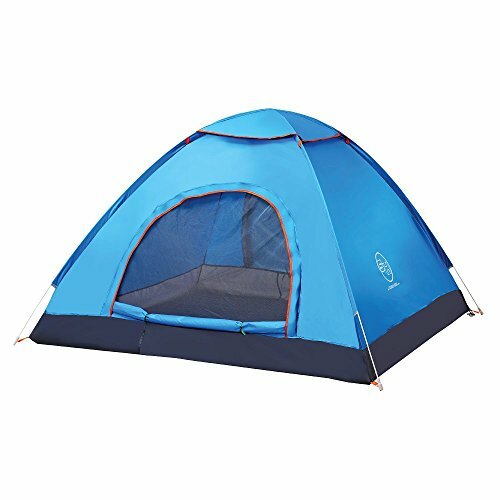 At the very last of our list for the Best Pop up Tent Reviews, we have this HUI LINGYANG Outdoor Instant 4-Person Pop up Tent. This is a dome-shaped tent and we must say it is a very beautiful tent. The color of this pop-up tent is really amazing. However, this is not the reason for which it is in our list. First of all, another stress-free pop-up tent. No need of extra work or to follow complicated instruction. The HUI LINGYANG tent comes with its own carrying bag. So, it is really easy to carry and to fit it into anywhere. There are two doors at the left and right side of the tent. Both of these doors are covered with solid nylon flap which provides enough ventilation and at the same time privacy. Moreover, the quality of the fabric is also up to the mark. It is made of water-resistant PU coated polyester. Take note, not a good option for heavy rain though. The windows of the G4Free pop-up tent can be turned into a rain fly by attaching a guy line. So all in all, it is a pretty well-designed pop tent to go for. Now, let’s have a look at the buying guide. 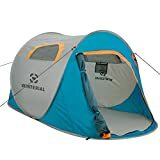 All these pop-up tents are more or less good in quality and performance. No matter how good a pop-up tent is, you first need to know what your requirements are. You have to keep certain things in your mind when you are going to buy a pop-up tent. These are some of the key points which will assist you to buy the best pop up tent from the market. We think this should be the first and the most important factor that you should consider while buying a pop-up tent. According to the number of your family members or friends, you should buy the tent. Now, every time there won’t be the same number, but you should consider on an average or the regular number of people who are going to share the rent with you. If you see in our reviewed pop up tents there are some tents which are designed for 2 people, some for 4-5 people. We think it is always good to buy a larger one than your current need. Another thing is that the manufacturers don’t advertise their products accurately. For example, if a tent advertised for 6 people you might find out that it is not comfortable for 6 people, maybe for 5 people. So, we will advise you, if you can, then go for a large sized one. However, if you are a backpacker and loves to travel alone without any hustle, then go for a compact and lightweight pop up tent. Next, an important factor to consider while buying a pop-up tent is the type of your camping. Again different people love to enjoy in different ways. Whereas some people just love to set their tent on their backward, some may go for a harsh mountain hiking. 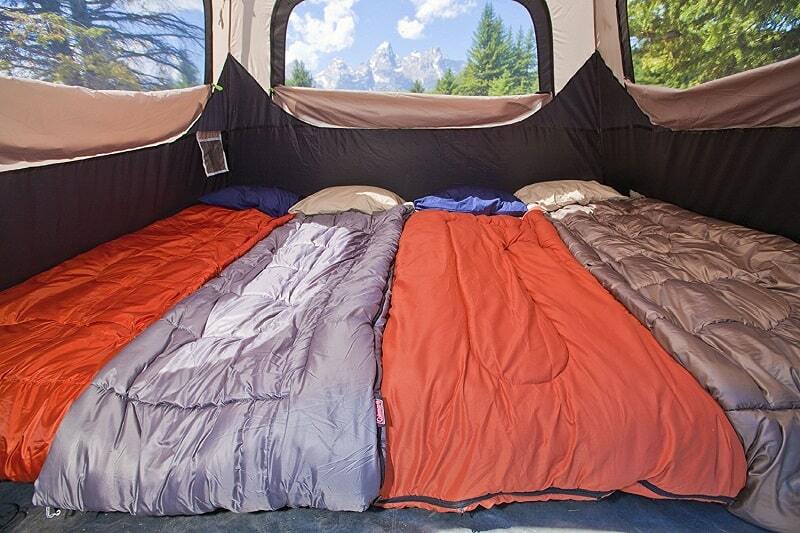 As the type of the camping needs, the tent should be like that. If you are going for extreme camping then don’t compromise anything. Go for a waterproof and weatherproof tent with a high-quality fabric. It is a must. This type of tent will cost you more than the casual ones but you should allow a good budget for this. If you are going for the beach then have a tent which has good UV rays protection and which can keep the heat away. Moreover, look for the features like storage pockets, rain fly or nets. We cannot say more about how important it is to choose the pop-up tent according to your camping style. If you choose the wrong one, your whole camping experience can be ruined. Even if you buy the most expensive and the most popular pop-up tent from the market, but it does not go out with your style then there is no good for it. While you are buying a pop-up tent look out for the fabric or the material used to make it. Most of the pop-up tents are made of polyester or canvas. Different materials are suitable for different type of camping. 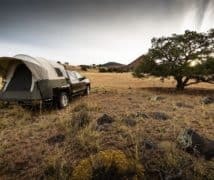 It will be best if you go for a pop-up tent which has used different materials so that you can have different benefited from a single pop up tent. First, if you go for a cotton based pop up the tent then it will last for a longer time. The canvas/cotton made tents use to be weatherproof. Second, if you choose polyester made pop up the tent then it will be more waterproof than the canvas one and at the same time will be lighter in weight. Lastly, there is also pop up tents made of nylon. These are basically the cheap ones. This type of tents is good for backpacking. However, in a long exposure of sun, this type of tent doesn’t perform well. There are various types and shapes of pop up tents. 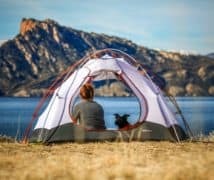 If you are a new person who is going to have for the first time a camping experience then you should know the tent types before you buy a pop-up tent. So, next, we have discussed some of the types and shapes of pop up tents. Tube Shaped Tent: This shaped pop-up tent will give you the highest amount of internal storage. 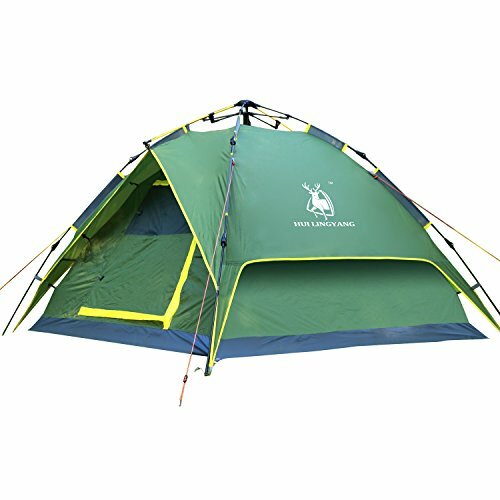 Hiking Tent: Hiking tents are basically made with strong fabrics and come with a lot of external loops. There are many more other shapes found in normal traditional tents. If you are going for a pop up the tent then these are some of the examples. Okay, after you choose the tent type and shape now look for space. This point actually also covers when you are considering the size of the tent. Almost all the pop-up tents revealed their internal storage space. So look out for that information. Now the manufactures give that information based on average sized individuals, but there can be obvious exceptions. It is very important to buy a strongly build pop up tent or any kind of tent. How will you know about the strength? The frames of the tents are mainly built either in aluminum or in steel. 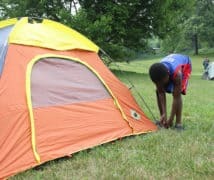 The aluminum made tents usually bend more than the steel ones. The steel ones are stronger than the aluminum one. So if you are going for more than a casual camping then go for the stronger one, so that it can stand against the strong wind. When you know the type of camping you are going for, you should also know how often you have to carry the tent. Carrying a tent easily and effortlessly is a key benefit that you can have a pop-up tent. It is always good if you are going for a portable one. But in some cases, it is a must that the tent should be portable. For example, for hiking or when you are going out with your babies. It should be easy to carry the tent bag, where you don’t have to put much attention to it. Now, most of the pop-up tents mainly advertised about how quickly these pops up, but there are very few which talk about how easy you can again put them back in the bag. If a pop-up tent set up instantly then it should be also an easy task to put it back. Taking down some pop up tents are really difficult. Try to avoid those. Last but not the least you have to see the price of the pop-up tent. Don’t always go for expensive ones if you feel they will be better than others. Same way, don’t just go for the cheap ones, as they might not be durable. According to your budget go for the specific pop up tent that meets your requirements the most. So, these are some of the basic but very important factors that you should follow when you are buying a pop-up tent. These are not only important for pop up tents, but also for any type of tent whether it is a traditional camp tent. There are some other key features that you should consider, like whether it is waterproof or not, how many storage pockets are there, air circulation system and etc. While there are so many types of tents, you probably thinking why should go for a pop-up tent. There are some significant benefits of using a pop-up tent. Currently, these pop-up tents has become more popular than the traditional ones among people, especially for family outings. 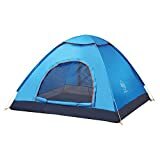 These pop-up tents are so easy to use that these are now not only using for camping but for birthday parties, weddings or for any kind of fun events. The first and the obvious reason for which people now love to use pop up tent than any other types of the tent is, the instant set up of the tent. Almost every brand’s every model of pop up tents take just a few seconds to set the whole tent. For traditional camping tents, you have to do a lot of work with screws and hammer and have to follow a difficult instruction manual. On the other side, with a pop-up tent, you just need to watch how it pops into the air. Secondly, pop up tents are very lightweight and compact compared to the other types of tents. For this reason, it can be carried easily by anyone and you can carry it anywhere you want. The cost of the pop-up tents is another reason for which people love to use it. The pop-up tents cost very low in price. 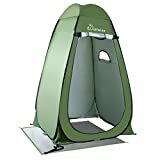 There is some pop-up tents which cost an only 25-35 dollar and can even pretty well. It is almost impossible in any other types of tents. Even the second hand 4 season tents will cost you a lot more than a fresh new pop up tents. Another significant benefit of pop up tent is its portability. As they are light in weight and also most of them come with their own carrying bag it is really easy to carry them. Lastly, pop up tents are easy to store also. When you are not using the tents, most of the large traditional tents take a lot of space of your house. Whereas, pop up tents can be easily fitted into a 4-foot box. So there is no issue where to keep them or store them when it is not in use. And no matter after how many days you are bringing back them to use, there won’t be a single problem. So, you see by using a pop up tent you are actually getting a lot of benefits. You know what is the best benefit of all? You can enjoy your time with your family or friends with less hassle. However, make no mistake that if you are looking for some extreme camping may be a pop-up tent is not a good one. Though there is some great pop up tents for extreme camping also. Ans: There are various types of tents according to shape and use, like Dome tent, 4 Season tent, Basic Ridge tent, Inflatable Tent, Tunnel tent, Pop up tent and etc. Ans: This is basically the fabric used for the tent. If it is canvas/cotton made then canvas tent and if made of nylon then nylon tent. Ans: No, most of the pop-up tents don’t require any extra peg. Once you take out it from the bag it will automatically set up. Ans: There is no specific instruction for this. Each and every pop-up tent comes with its own directions, which you have to follow. 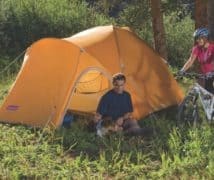 At the end of this big article, we want to say that buying any kind of tent whether a pop-up tent or any other type is fully your own decision. Only you know the best what you actually want in a tent. We have just tried to give an overview of some of the Best Pop up Tents on the market. What we really advise you to do is to look out for the buying guide first and then for the suggestions. First, try to identify what you are actually looking for, and then according to that choose one from the list. Whether you need a waterproof one or one which can keep the heat away there is something that you will find on our list. Some of the pop-up tents are really low in price, whereas some are expensive. So, you can understand that there is obviously one pop up tent which may be not 100% but close to hundred percent will meet your needs. Pop up tent is the best way to have fun with your family members or friends. We hope we have helped you at least a little to make your purchase decision. And one last tip, choose anyone but always keep your safety first.